I call myself a Southern Belle. That means a lot of different things to a lot of different people, but, to me, it means that I'm going to do whatever it takes to get the job done. It also means that I'm probably going to tackle that job with my makeup done—complete with red lipstick and a french manicure, wearing pearls, and with a monogram on my beverage cup. This is my way. And I love it. It works for me. I work in a male-dominated industry, and I choose to use my femininity to my advantage. Some men don't value women as they should, and I like when I'm a bit underestimated. I also really love when those same men realize what an asset a woman can be. I am a feminist, and I like to spread that with "quiet dignity and grace." Please don't get me wrong. I will yank my earrings off and get all up in someone's face if I have to. I will not shy away from crazy. Secretly, I enjoy that, too, but it's not my first choice. You can only prance that out every once in a while to maintain effectiveness! When I say that I'm a Belle, I don't mean that I don't have fun or get dirty. I actually happen to think I'm hilarious. I have helped fell trees, build furniture, and laid the wood flooring in my house, almost completely by myself. 1. We can organize a bake sale or a casserole train in less than 13 minutes. 2. 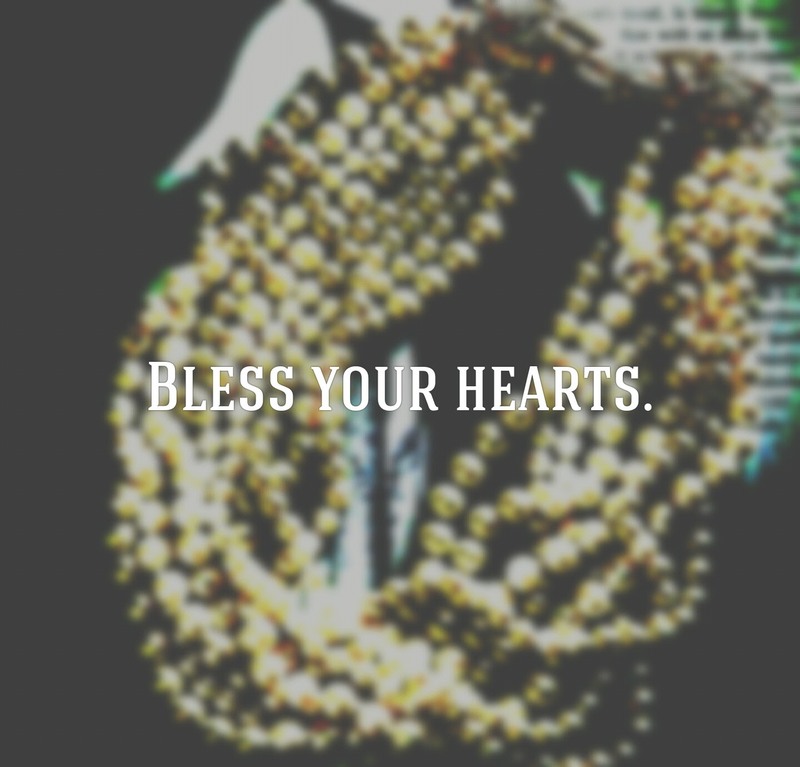 We say, "Bless your Heart," when we hurt with you. 3. We drink our tea sweet and with ice. 4. We say, "Bless your heart," when we think you're an idiot, but we're too polite to say so. 5. Our BBQ comes from a pig, and we think it's better that way. 6. We hand-write thank you notes—for everything! 7. We take care of people. Our people, your people, all of the people. 8. We eat a lot of sugar and fry anything we can (i.e. Twinkies, tomatoes, etc). 9. We know that our accent is funny. 10. We are taught "how to act" from a very young age. Basically, we're just like everyone else, except we talk a little slower. But we'll still yank off those earrings if push comes to shove. Check out this song from Meg Myers (a fellow Tennessee Belle) to see how we really do.